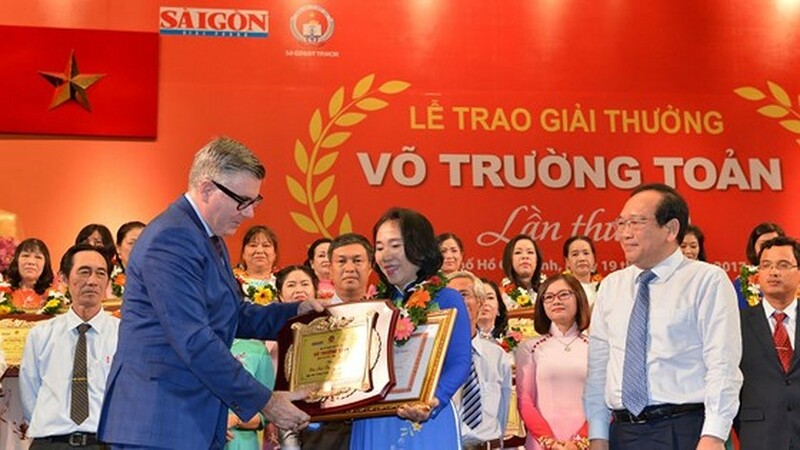 The Sai Gon Giai Phong Newspaper in coordination with the Department of Education and Training of Ho Chi Minh City and Prudential Vietnam Company held the award ceremony of the 20th Vo Truong Toan Awards on November 19. Attending the event were Politburo member, Secretary of the HCMC Party Committee Nguyen Thien Nhan, Head of the Department of Propaganda and Training of the HCMC Party Committee Than Thi Thu, former Standing Vice Chairman of the HCM City People's Committee Nguyen Thanh Tai, Director of the HCMC Department of Education and Training Le Hong Son, and Editor-in-Chief of SGGP Newspaper Nguyen Tan Phong. 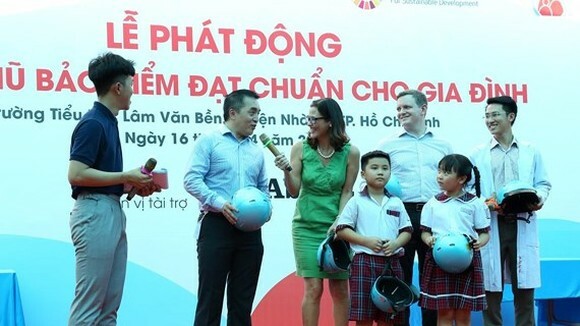 This year’s event honored 40 outstanding teachers from kindergartens, primary schools, secondary and high schools, vocational schools and colleges in the city. 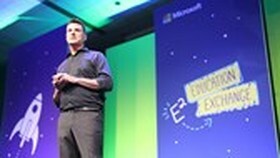 Award-winning teachers have had innovative teaching methods and great contributions for the education sector, besides having gained the trust and respect of colleagues, students and parents. 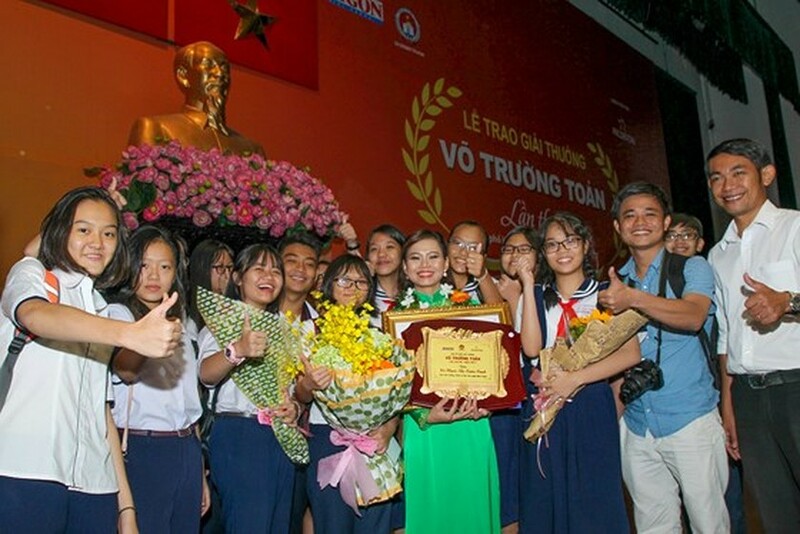 Speaking at the meeting, Secretary of the HCMC Party Committee Nguyen Thien Nhan praised and congratulated more than 80,000 teachers and teaching staffs of schools in the city on the occasion of the 35th anniversary of Vietnamese Teachers’ Day (November 20) and 20 years since the launch of Vo Truong Toan Awards. 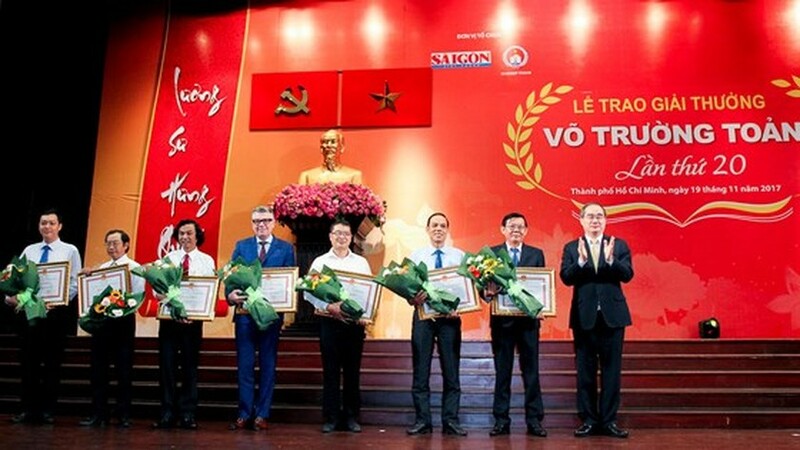 At the ceremony, the People’s Committee of Ho Chi Minh City offered certificates of merit to 8 individuals and 8 groups who have outstanding contribution to the award over the past 20 years, including the HCMC Department of Education and Training, the Sai Gon Giai Phong Newspaper, the HCM City Television, Prudential Vietnam Company and others. 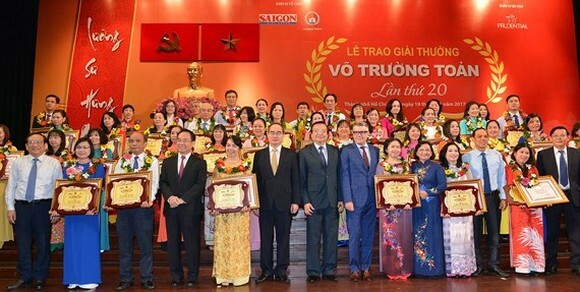 The Vo Truong Toan Prize honoring outstanding teachers in the field of education was granted 576 teachers over the past 20 years. 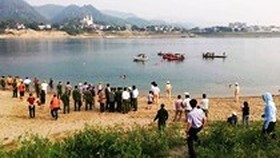 The awards was launched for the first time in the central coastal city of Da Nang in 2016. 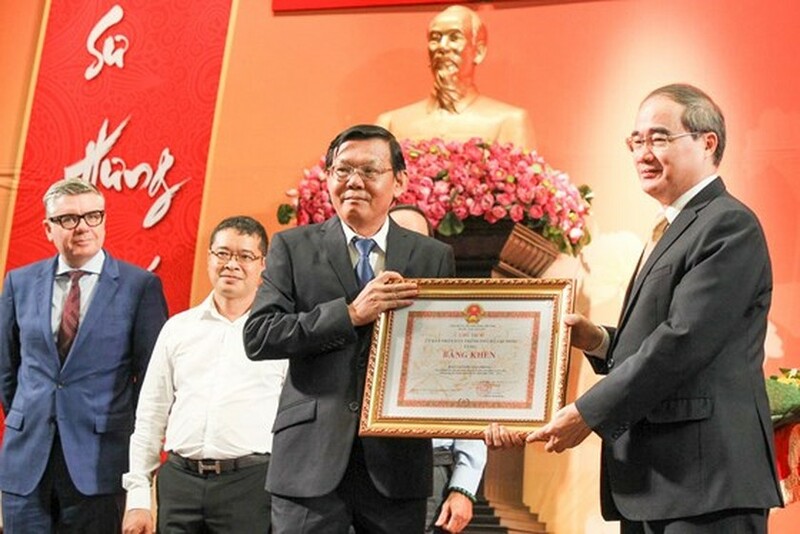 Secretary of the HCMC Party Committee Nguyen Thien Nhan (R) offers certificates of merit to individuals and groups who have outstanding contribution to the award over the past 20 years. 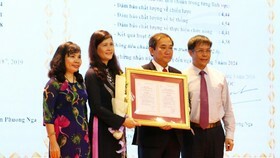 Mr. Nguyen Thien Nhan presents a certificates of merit to Editor-in-Chief of SGGP Newspaper Nguyen Tan Phong (L). 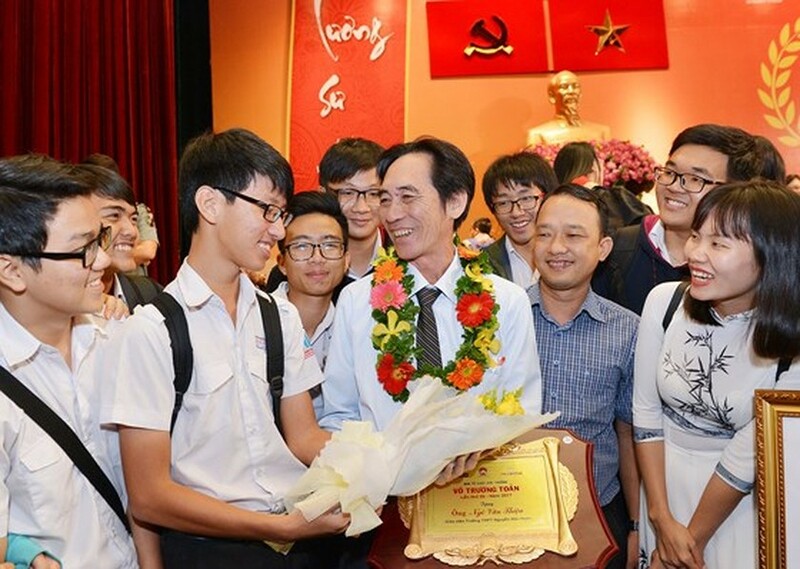 Mr. Nguyen Thien Nhan gives a certificates of merit to an outstanding teacher. 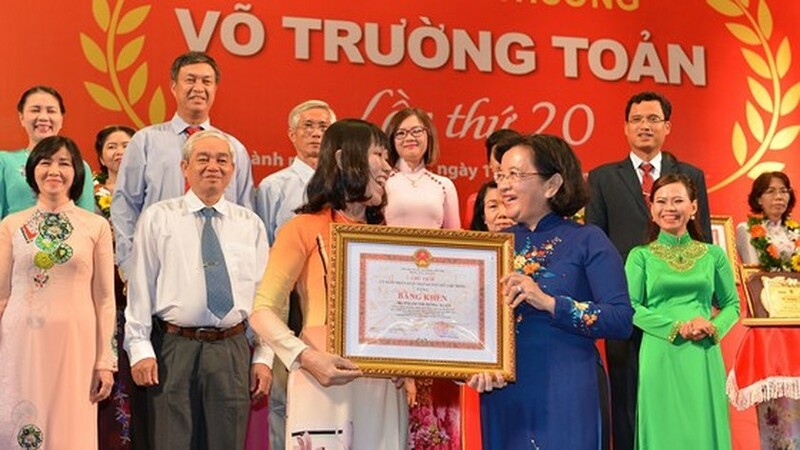 Head of the Department of Propaganda and Training of the HCMC Party Committee Than Thi Thu (R) offers a certificates of merit to an outstanding teacher. 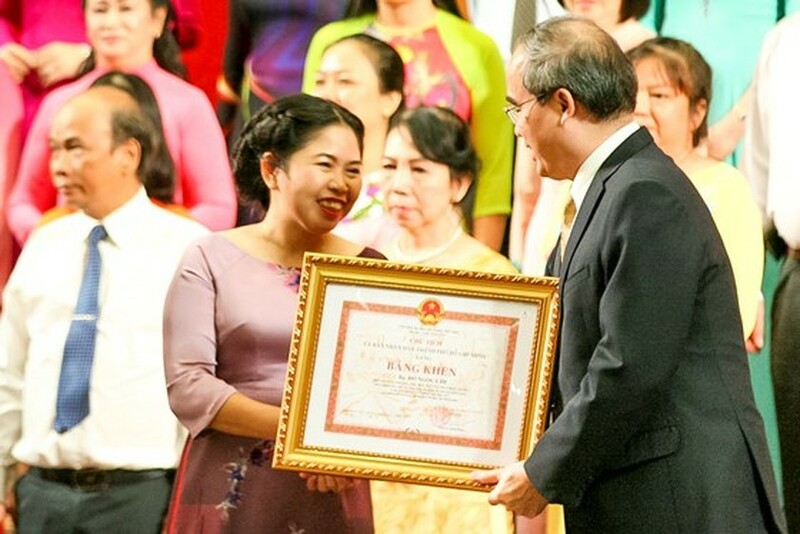 Representative of Prudential Vietnam Company awards certificate of merit to an outstanding teacher. Students send congratulations to their teacher.